I was sent 5 of this amazing collection for review. That being said all thoughts are my own and not influenced by anyone other than myself. This post also includes ones I purchased from the collection as well. Second half of the collection will be coming soon. 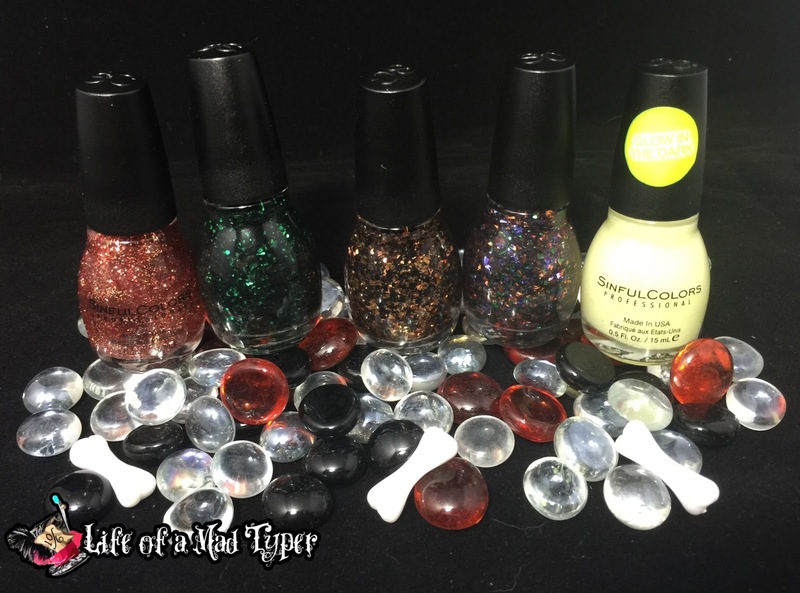 I received Glow In The Dark, Cauldron Couture, Splatter Spell, Mystery Moonshine and Pumpkin Spice for review and then purchased the rest of the collection passing on gogo girl, lets talk, pine away, clear. Snow me white is a great white to have on hand for stamping. 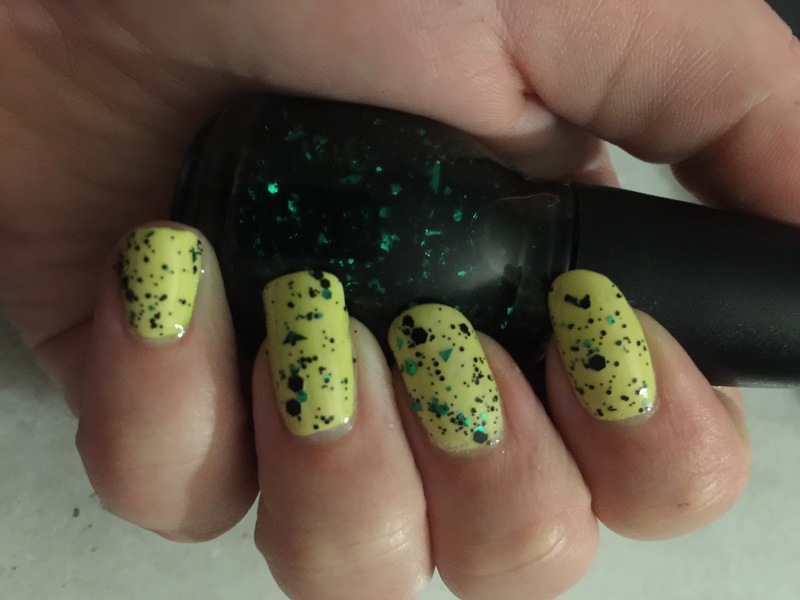 This baby can stamp amazingly which is why I went back and grabbed 2 more after they went on sale for $0.99 recently at Walgreens.This is 3 coats for opaqueness, it dries so quick that its a little hard not to get brush strokes with this color. Mystery moonshine is filled with shredded glitter which I absolutely adore. I did notice the base on this was slightly pink toned and left snow me white a little pink. I am not sure if this is intentional or if its caused by a glitter bleed but the color is bewitching. This is 1 coat over snow me white. 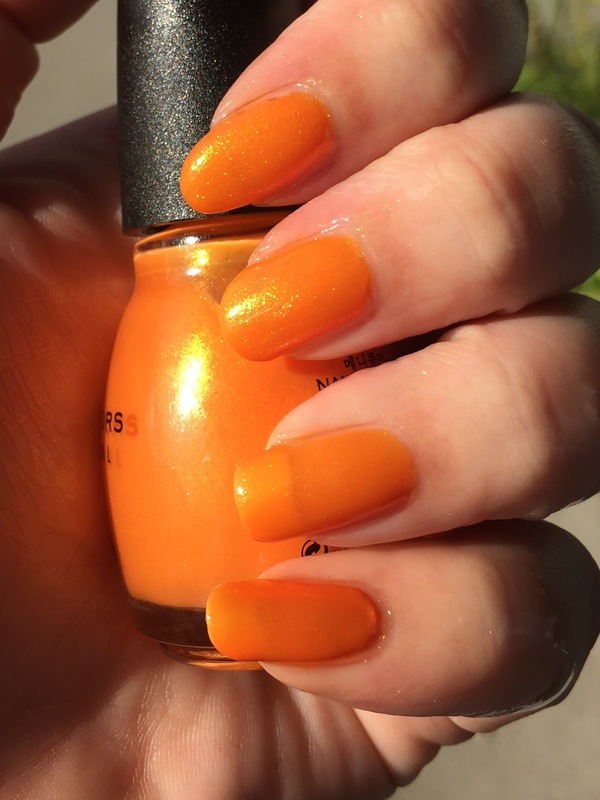 This gorgeous shimmery orange goodness is beautiful in the sun! It even caught my co workers eyes! I am not a fan of orange other than neon but this color is amazing. This is 2 coats of cloud 9 with no topcoat. This is cloud 9 with 1 coat of pumpkin spice. This has a mixture of red copper and orange glitters. A perfect color for fall and everything pumpkin season. If only it was pumpkin scented, oh wait my lotion is so that's ok! Cauldron Couture is one of my favorite toppers in the collection. It isn't as wild as mystery moon shine and thats why I love it. It could be used any time of year to add a little wicked into your life. It has black and green micro glitter,green shredded glitter and black hexes. 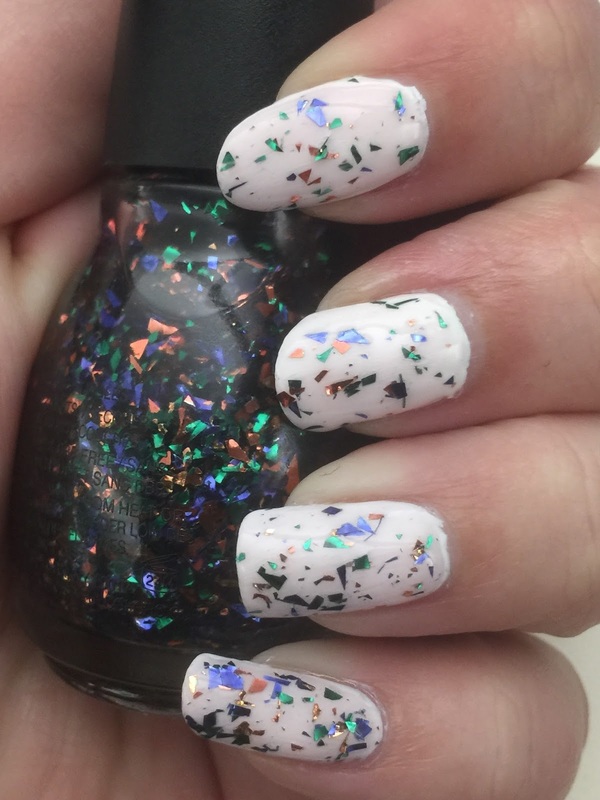 I have an obsession with shredded glitter and I am glad to see it being used in more polishes and especially collections for my favorite holiday. Mourn my pinky nail with me I lost it this morning. Splatter spell is pretty much cauldron couture with bronze instead of emerald green. Again the shredded glitter is to die for! Once I get a chance to do my nails I will replace the image with a swatch on my nails I ran out of time and didn't get a chance to paint my nails much. This is 2 coats of splatter spell. I was unable to get a good picture of the glow in the dark top coat but I can tell you the glow from it gives ghoulish glow from China Glaze a run for its money. The glow lasts longer and looks better than ghoulish glow. I am picking up a black light and then I will add a picture here showing the glow topcoat. Overall so far I am impressed by this years Halloween collection and can't wait to try the next half of the collection. ooooo i love these colors. I needs me some of these! Nice Polish Color are fabulous!! Oh man I want all these! I'm ALL about some bright colors!!! 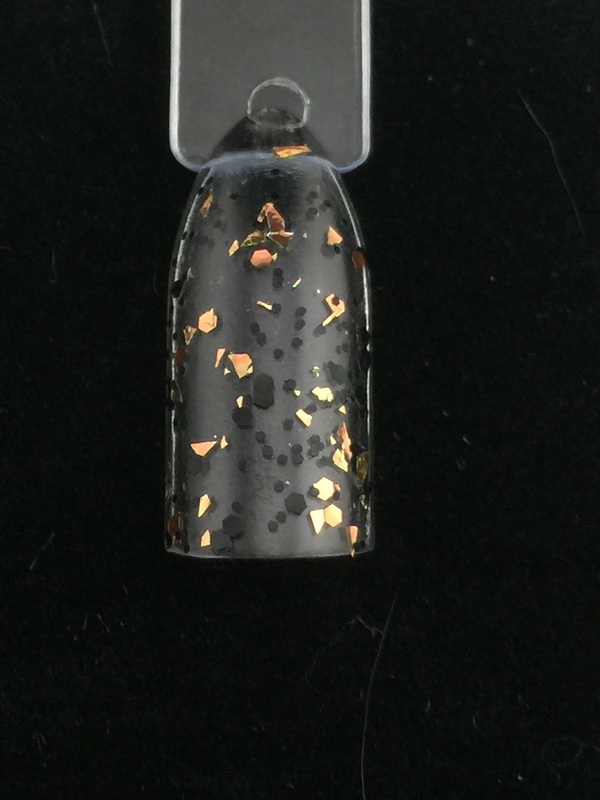 I love the cauldron couture nails!! Looks so pretty together! 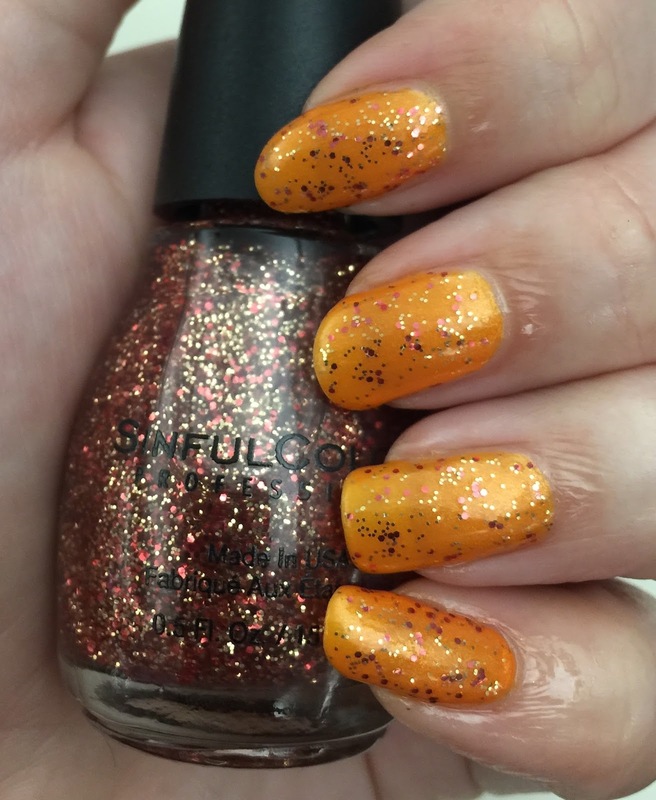 Plus the cloud 9 with pumpkin spice glitter is beautiful! How did I miss these?! I wonder if they're still available anywhere? Great swatches and post! 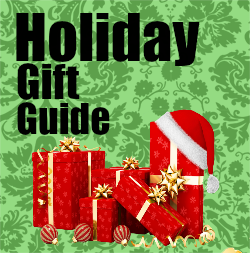 wigs for women have made the life easy and this had made possible for all women to get any sort of hair style without going to the salons. abhair are into trend and those of you who need to have them do not have to rush to salons rather you need to purchase abhair that are available all over the market and are very affordable.